MUNICH – PSA/Peugeot-Citroen SA said it would recall nearly 100,000 cars because they have the same accelerator-related problems currently afflicting some Toyota Motor Corp. models. 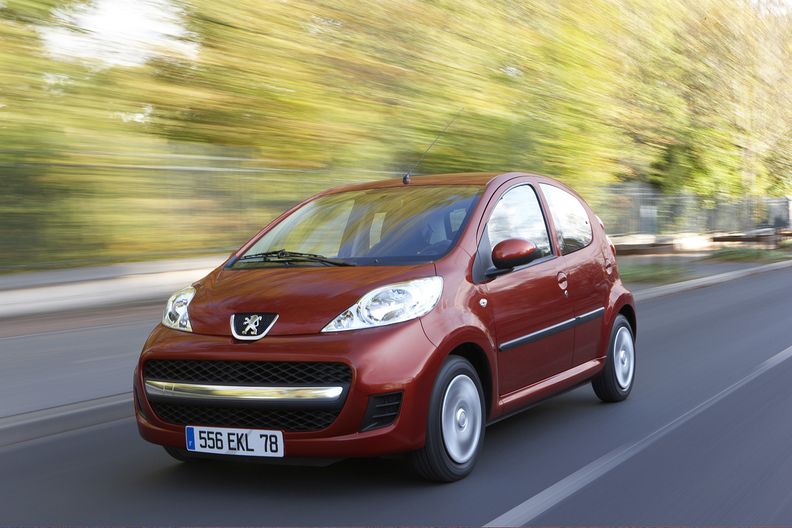 The French carmaker said the recall will affect a selected range of its Peugeot 107 and Citroen C1 cars. The two models are built alongside the Toyota Aygo in a joint PSA-Toyota factory in Kolin, Czech Republic. Toyota said on Friday that it would recall eight of its models in Europe to solve a potential accelerator pedal issue. The Aygo units that will be affected by the recall were made between February 2005 and August 2009. PSA said its precautionary recall affects about 97,000 cars, less than 10 percent of Peugeot 107s and Citroen C1s in circulation in Europe. It said customers concerned will shortly receive written notification of the recall. Morgan Stanley Research said PSA's recall will have little financial impact on the company, estimating it would cost the carmaker about 4.5 million euros, which it said is "a modest expense" that would easily be covered by existing warranty provisions. "This recall, while an important customer service action, is more noise than substance from a financial perspective. In our experience, a well-executed precautionary recall can preserve trust between customer and manufacturer and rarely has a lasting impact on brand image longer term," the financial services company said. The recall affects 0.3 percent of the estimated 30 million PSA group cars on the road in Europe, Morgan Stanley Research said. It added that PSA sold 236,000 C1 and 107 models last year, accounting for 7.4 percent of the 3.19 million units sold worldwide by the company in 2008. Toyota's recall may reach up to 1.8 million Toyota cars in Europe, affecting Auris, Avensis, Aygo, Corolla, iQ, RAV4, Verso and Yaris models built between Feb. 2005 and this month, the company said. All the models except the Corolla and RAV4 are built in either Europe or Turkey. The Yaris was Toyota's No. 1 seller in 2009. No Lexus models are included in the recall. Only a limited number of incidents have been reported in Europe, and Toyota Europe is not aware of any accident resulting from this issue, the company said. Toyota reiterated Friday that it will not suspend output in Europe because it already has changed its production process to use different parts to deal with the problem.